LEDs in the nursery room at Rogue Coast Growers are used with variable dimmers to make sure the tender seedlings and clone starts don’t get too much light. The new grow tent at Rogue Coast Growers, built in summer 2018, includes four sets of heavy-duty pallet racks, 50 amps of 220 volt and another 20 amps of 120 volt, 2,000 CFM of ventilation, the big blue dehumidifier, and most importantly, 72 Illumitex Eclipse light bars. Three levels of precisely controlled cultivation. 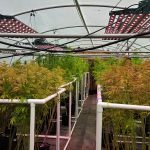 LEDs provide supplemental lighting in Rogue Coast Growers’ “light-dep greenhouse.” On days when there’s a thick marine layer, they turn on the lights to supplement the light coming in from the sun. This is their flowering greenhouse, and the plants need as much light as they can get during this stage of their lives. LEDs provide supplemental lighting in “mother’s hoop-house” at Rogue Coast Growers. In addition to giving the plants an extra bit of lumens during the day, they leave them on at night to keep the plants from flowering. The mothers supply vegetative material for cloning new starts. Look around and it’s impossible not to notice that we are in the middle of the Green Rush. 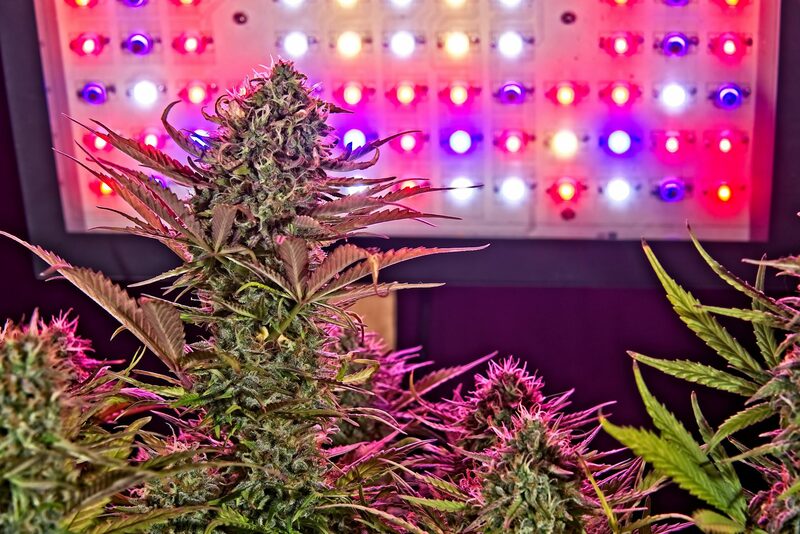 And with it has come a surge in LED grow-light technology. Light emitting diodes are everywhere now — from homes to cars — and the technology has been embraced by many in the agriculture industry. If you’re thinking about growing your own, you may consider using LED grow lights to enhance your products and yield. 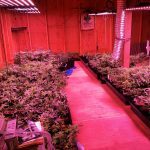 How do LED grow lights help the environment? The biggest environmental benefit is that they use less power, thus reducing the load on electric power plants, which in turn reduces the amount of fuel being burned to generate electricity. Another benefit is that LED lights are “cooler” than regular lights and require significantly less expense to ventilate and cool, which reduces the risk of fire. Another advantage is the lessening of light pollution. LED lights are tightly focused so the light doesn’t diffuse into the environment. Dimmers enhance this benefit, as well. LED lights also last longer than traditional lights, which saves the need to replace them as often, which saves energy and gives our landfills a break. And unlike compact fluorescent lights, which contain 4 to 5 milligrams of mercury, LEDs are free of chemicals that can be hazardous for the environment. Those are some of the green benefits, but what about the benefits to growers? Jeremy Vogt is head grower and partner at Rogue Coast Growers, an indoor cannabis producer and clone nursery based in Gold Beach. It supplies product to many local dispensaries, including Breeze Botanicals. The company is built on an ecological model and uses only natural nutrients, custom-blended soils, local spring water, and old-school, hands-on growing methods from seedling to cured and trimmed final product. Vogt says the company decided eight months ago to run its greenhouse on LED. While it is too early to calculate cost savings, Vogt says he can tell the difference in both the health of his plants and the yield. “The plants have a nice healthy look, and I can tell they are under less stress,” says Vogt. It’s worked so well that Vogt had already ordered another set of lamps for a greenhouse that’s waiting to be built. “They’re here in crates right now,” he says. The major downside to converting to LEDs is that they cost more up front than traditional lights. One piece of good news is that the Energy Trust of Oregon offers rebates and incentives to companies that invest in energy-efficient technology. Energy Trust, an independent nonprofit, works with residential, commercial and industrial customers served by its partner utilities — Portland General Electric, Pacific Power, NW Natural, Cascade Natural Gas and Avista. 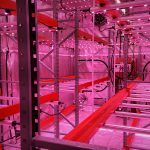 Cultivation of medical and adult-use cannabis can be energy intensive, and Energy Trust offers licensed growers technical services and cash incentives for the installation of energy-efficient equipment at new and existing grow facilities. Energy Trust can also work with cannabis producers to identify and implement custom improvements that can reduce energy costs over conventional equipment. Energy Trust offers free technical services and advice to boot. Its lighting specialists can work with you or your lighting vendor to specify qualified equipment, and will provide technical studies to identify energy-efficiency opportunities for HVAC, insulation and other improvements, for qualified projects. Energy Trust pays 100 percent of the study cost. All of this can offset the upfront costs of LEDs, and with technical advice, you’ll be getting maximum yield for minimum energy. And with the green rush and increased competition in the marketplace, any savings on your margins are worth going after. Yerba Buena, a certified cannabis grower in Hillsboro, is an Energy Trust success story. Yerba Buena became one of the first recreational cannabis growers to take advantage of Energy Trust’s technical assistance and cash incentives when the company replaced T5 fluorescent lighting in its vegetative room with tubular LEDs.